Whitefield College believes Scripture when it says that the fear of the Lord is the beginning of wisdom and knowledge, and in Christ are hidden all the treasures of wisdom and knowledge. The college teaches all subjects from a biblical perspective in order that we might offer an exclusively Christian approach to education. Compromise has effectively destroyed many older Christian colleges and universities, and we will always need to guard against it. Our fervent prayer is that God will use our commitment to a solid biblical philosophy to keep Whitefield College continually faithful to its first principles. 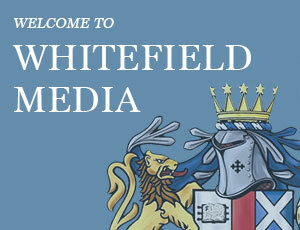 Whitefield Media is a ministry of the College & Seminary. Whitefield Radio presents various interviews covering current issues, historic Reformation theology in modern context, eschatology, and ecclesiological matters. There is also a weekly sermon presentation from Reformed Pastors. Whitefield Video is a series of presentations that will cover theological, philosophical, apologetical, cultural, and historical topics. Whitefield Publications is a list of books for sale by Whitefield Media Publications and other various book publishers. Written book reviews will be posted for additional information for consideration. If there is any hope for reformation in America and elsewhere, the Church of Jesus Christ must once again produce pastors who boldly proclaim the whole counsel of God with the anointing of His Spirit. We must establish theologically-sound institutions that meet the present educational needs of the church, and seek to train a new generation of ministers in the old, time-honored, biblical tradition. 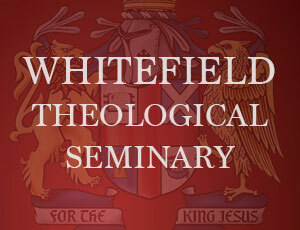 The mission of Whitefield Theological Seminary is to return to the historic theology and methodology God has blessed. Whitefield College offers Associate and Bachelor of Arts degree programs in Bible, Education, Classical Education, Philosophy, Counseling, Christian Legal Advocacy, Business Administration and American History and Government. When distance education was frowned upon, or considered to offer a less than effective education, Whitefield offered its students the opportunity to work towards their AA or BA in the privacy and comfort of their own home, or while deployed while serving in our military. Our graduates and former students who have gone on to other colleges will testify to the high academic standards, and the convenience of working on their own schedule, rather than being tied into a fixed college structure. We are a distinctly Christian college, with each program based on a Bible curriculum that seeks to prepare our graduates with a real-world, relevant understanding of their faith. We teach the doctrines of the Reformation, believing that Gods sovereign will governs all of mankind, and that all of history is the working out of His eternal plan. Whitefield College offers Christ-centered, home-study programs for students seeking an alternative to the usual college experience. Our courses are specially geared for graduates who intend to teach their own children at home, teach in a Christian school, or prepare for other Christian vocations such as Pastor, Elder, Deacon, counselor etc. A Whitefield Associate or Bachelor degree is also an excellent preparation for those intending to go on to other professional studies in Seminaries or Graduate Schools. Our degree programs will prepare you to apply the Christian faith to every area of life, to defend the Christian faith, and teach it to others. Whitefield Theological Seminary derives its name from the eighteenth-century revivalist, George Whitefield. Rev. Whitefield was a man of compassion, dedicated to the preaching of the Gospel. Reformed in his theology, he was one of the major influences of the eighteenth century, both in the British Isles and in the Great Awakening in colonial America. His great desire to establish a theological seminary in the South was never realized in his lifetime. Fulfilling Whitefield’s vision, this Seminary is dedicated to training men for the ministry; men of compassion who desire to proclaim our crucified and risen Lord and King. We desire to train ministers with a vision for reformation, i.e., making the nations Christ’s disciples (Matthew 28:19). If there is any hope for reformation in America and elsewhere, the Church of Jesus Christ must once again produce pastors who boldly proclaim the whole counsel of God with the anointing of His Spirit. We must establish theologically sound institutions that meet the present educational needs of the church, and seek to train a new generation of ministers in the old, time-honored, biblical tradition of the Reformation. Whitefield Theological Seminary offers Masters and Doctorate degrees in ministry, theology, apologetics, church history, counseling, education, and church and state relations. Whitefield is totally supported by tuition and gifts from churches and friends of the Seminary. We do not accept government benefits or programs of assistance in the area of student education or operations. All degree programs are designed for use in conjunction with church- related ministries. WHITEFIELD COLLEGE AFFORDS THE CHRISTIAN STUDENT AN EXCELLENT OPPORTUNITY TO PRACTICE TAKING EVERY THOUGHT CAPTIVE TO THE OBEDIENCE OF CHRIST. ~ BENJAMIN S WALTON, J.D. Whitefield College affords the Christian student an excellent opportunity to practice taking every thought captive to the obedience of Christ. Its curriculum is designed not only to deepen one’s knowledge and understanding, but also to develop and refine one’s ability to think critically, to analyze carefully, and to communicate clearly and cogently. 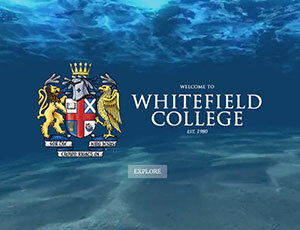 I personally found that Whitefield College proved to be a perfect preparation for me as I entered law school, because my experience with Whitefield both stretched and sharpened my reading, research, thinking, and writing skills, as well as, affording me a challenging , yet beneficial, opportunity to inculcate self- discipline as I worked through the curriculum from home. I would highly recommend Whitefield College to anyone seeking the opportunity for personal spiritual growth and academic rigor in the context of a Christian worldview. I appreciate Whitefield’s doctoral program for several reasons. First, WTS upholds historic, Reformed orthodoxy. In a day when many are seeking the new in theology, Whitefield is exposing me to the old, the tried, and the true. If you want the way of the Puritan theology of Westminster Standards with no apologies, then Whitefield is for you. Second, WTS provides a rigorous program. Whitefield’s doctoral program demands reading, reading, reading, then writing, writing, writing. In a day when academic standards are being lowered, I appreciate Whitefield’s rigorous curriculum. Third, WTS is a relevant program. In a day when many are returning to the truths of the Reformation, it is necessary to study those truths as they were hammered out in their historical context in order to appreciate their contemporary relevance. WTS’s program has taken me back to Luther, Calvin, and the Westminster Divines to sit at their feet to learn theology and to learn the timeless lessons of the work of reformation. IN A DAY WHEN MANY ARE SEEKING THE NEW IN THEOLOGY, WHITEFIELD IS EXPOSING ME TO THE OLD, THE TRIED, AND THE TRUE. ~ REV. RICHARD BARCELLOS, TH.M., PH.D.